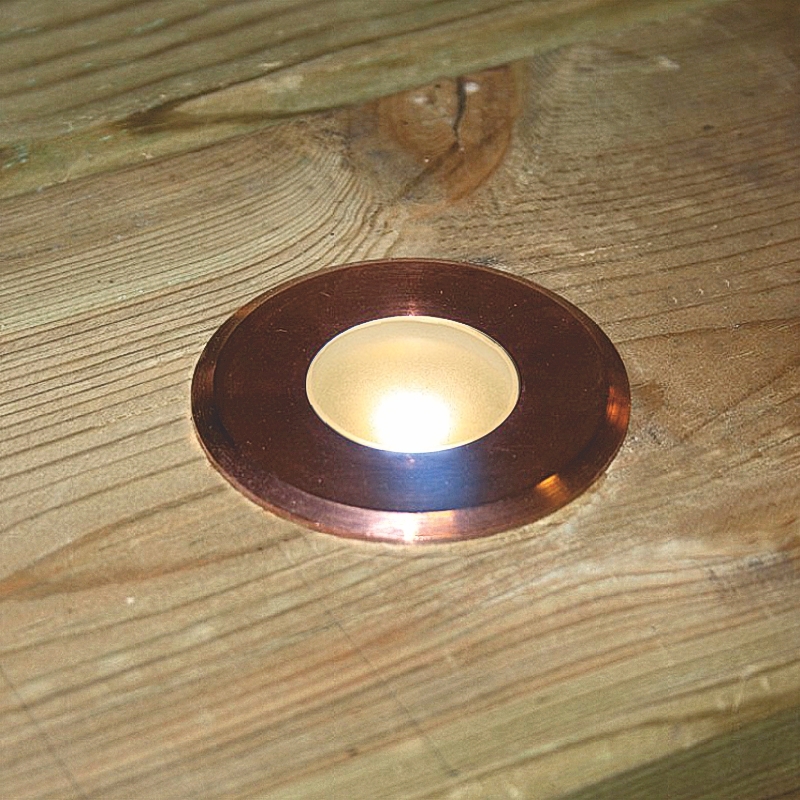 For larger or more sophisticated deck shapes, you may benefit from using a combination of different sizes of lights but still matching materials and appearance for the sake of continuity: Navigators are a family of fittings in stainless steel and natural copper - materials which suit most deck materials, whether they be hardwood, stained softwood or synthetic. 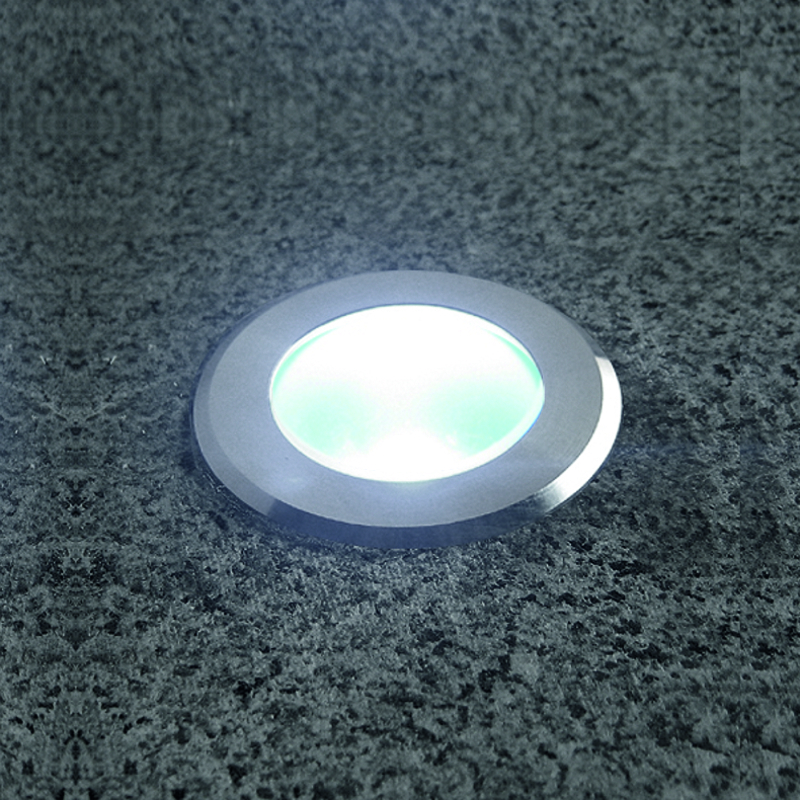 Navigator Minor is also the type recommended as miniature step marker lights in step risers at spacings of 30-60cm. They are supplied with a recessed sleeve usually used for installation in paving and walls: for decking applications the sleeve is discarded and the spring clip on the body fits securely into a hole drilled in the deck boards. Navigator Minor can be teamed with the Navigator Mono deck light, which also comes in a white led. Navigator Mono provides higher impact uplighting when fitted around the perimeter of a deck, and can be used to highlight a walkway route across a deck or to frame a table location. The largest Navigator Maxor uses the latest 1w led's, which are bright enough for crosslighting deck steps if there is a flanking wall or board, as well as a higher power alternative around a large deck area or as a location marker highlighting an urn or column. 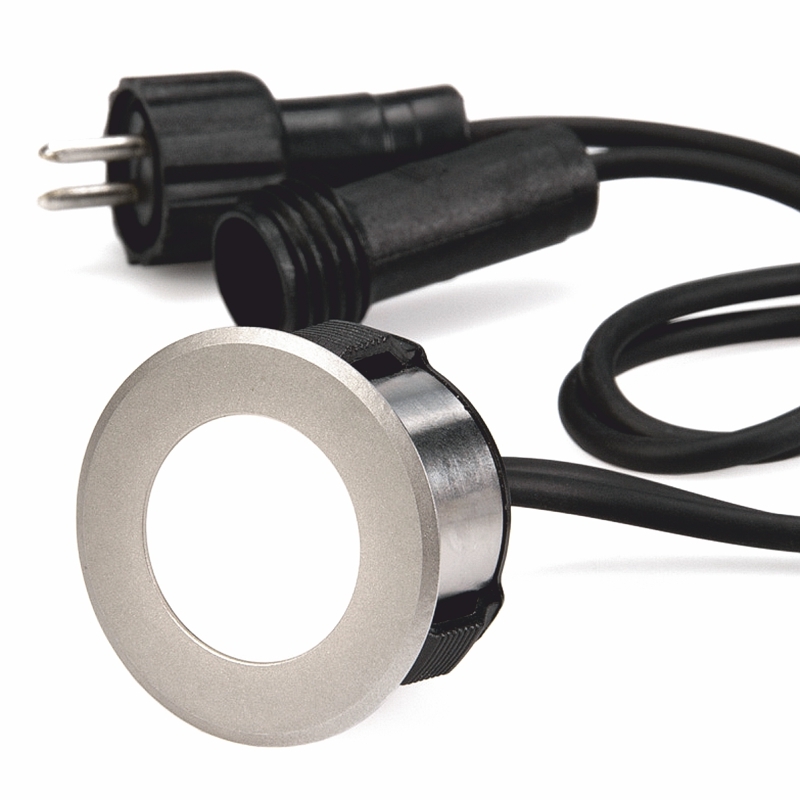 Navigators can all be arranged in custom layouts using cable joint kits and 1.5mm cable supplied by the reel, which is more flexible than kit-type deck lighting products. The front bezel of all Navigator white l.e.d. deck lights can be removed to allow insertion of theatre colour gels for variety of deck lighting effect or warmer colour appearance.